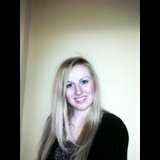 Hi my name is Patrycja, I'm 34 years old I'm looking for a job as a care live in, I have only personal care experience, I looked after a member of my family, he has got diabetes and beginning of dementia. I am caring, warm, very empatic person who can support people with all aspects of daily living from companionship, housework, shopping, making meals, laundry and personal care. I am not interested in working as self-employment (only PAYE).